MainAll NewsDefense/SecurityWhat did the terrorist write in his will? What did the terrorist write in his will? 17-year-old terrorist stabs Border Police officer, is eliminated. A Palestinian Arab terrorist stabbed an Israeli Border Police officer at Tapuah Junction in Samaria. Other officers succeeded in eliminating the terrorist. The officer was transferred, conscious and lightly wounded, to Petah Tikva's Beilinson Hospital. Initial investigations show that the 17-year-old terrorist arrived by foot to the junction's southern hitchhiking station. The terrorist carried a bag, and when Border Police officers approached him to perform a security check, the terrorist drew his knife and stabbed one of the officers. In response, the Border Police commander at the scene shot the terrorist, who was killed immediately. However, the officer standing beside the terrorist suffered shrapnel wounds to his leg. 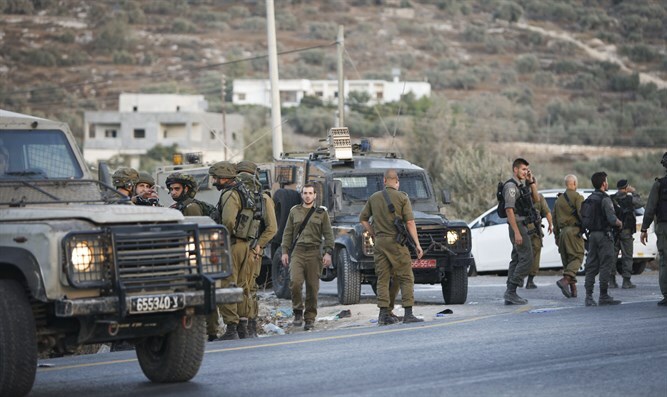 The terrorist was identified as Kathiba Zaharan from Ala'ar, an Arab town located near Tulkarem. In a Facebook post titled "The martyr's will," the terrorist said goodbye to his family and explained his motives for the terror attack, another instance of Facebook censorship missing a premeditated attempt to murder and allowing blatant anti-Semitism on its pages. "My beloved family, forgive me, pardon me. I have achieved my goal and accepted upon myself to be a shahid (martyr) in the path of Allah. Determinedly, I join the mujahideen and leave this world," Zaharan wrote in his post. At the end of the post, Zaharan asked his family not to mourn him and told them to "thank the G-d who has awarded victory to the mujahideen and degrades the cursed Jews."